The Cannes Film Festival is one of the highlights in the A-list calendar. So, if you’re a huge film fan and you love you some celebrities, it is the perfect place to visit in the month of May. If you’re smart, you’ll head to all of the right places to spot the stars, and if you’re really lucky you may get to speak to a screen legend or two. Play it cool and you’ll have a fabulous time. Everyone should enjoy a little luxury living from time to time and there can be few places more luxurious than The Ritz in Paris. This luxury five star hotel is frequented by some of the richest and most famous faces of our time, and you can pretty much ensure that your every whim will be catered to while you’re there. Whether you want champagne on tap or you simply want to sleep surrounded by fine furnishings, you’ll enjoy every single moment of your stay. Yes, it’s a wallet-emptier, but you’re worth it. This Paris chapel is one of the most beautiful places to spend some tie thanks to its stunning Gothic architecture dating back to the 13th century, and the impressive stained glass windows it boasts, but it really becomes spectacular when there is music playing because the acoustics are to die for. If you visit when an evening concert of baroque music is playing, you’ll be instantly transported to another time and place, and even if classical music isn’t usually your thing, you will be bowled over by the skill of the musician and the emotions of the pieces they play. Les falaises d’Etretat are the most spectacular white cliffs you will ever see. Arguably, the best way to enjoy their natural beauty is by walking along the beach below them when the tied is low. If you’re a bit more adventurous, there is a cliff path that you can take down to the beach, but it’s so steep that it’s definitely not one for the faint-hearted. Okay, so it isn’t the most upbeat holiday activity there is, but the beaches in Normandy, which were the sites of the D-Day landings are a huge part of history and if you’re in France, making an effort to see them is never going to be a mistake. Omaha, Sword Beach, Juno Beach, Gold Beach and Utah Beach are the places where the Allied forces landed, changing the course of the war and ensuring that the Nazis were not victorious. Standing there, you can feel years of history and emotion. They are really special places. Considered by many to be one of the best restaurants in the world, if you’re serious about your food, you’re going to want to have a spot of lunch at L’Arpège in Paris. This restaurant serves up some of the freshest, finest and most flavourful food you are likely to find anywhere in the world. The vegetables, in particular, are amazing, due to the chef’s love of all things that grow from the ground. Yes, it’s expensive, but lunch is far cheaper than an evening meal, and really it’s worth every penny. Skiing is one of those things that people either love or hate, or at least think they hate (many of the haters have never actually tried it), but I firmly believe that it’s one of those holiday experiences that everyone should try at least once, and the French Alps are probably the best place to give it a go due to the beautiful scenery, laid-back approach tot he sport an abundance of luxury chalets like Meribel Chalet Lapin Blanc, which are perfect for relaxing in after you’ve got yourself covered in snow. Be sure to cosy up with a glass of wine and a sauna at the end of the day and you’ll have a fabulous time. Whether you’re a lover of all things floral or not, you will be blown away by the stunning natural; beauty of Provence’s lavender fields in full bloom. The perfume they produce is simpler and more beautiful than anything Jo Malone could produce and the vibrant colours are more amazing than any artist could create. Spend some time walking through the fields and you will feel like you’re in another world, and it will intoxicate you. The Champs-Élysées is probably the most famous avenue in the whole of France. Located in the heart of Paris, you may remember it from films like the Jean Luc Godard classic Breathless and Le Roi des Champs-Élysées by Yves Mirande. 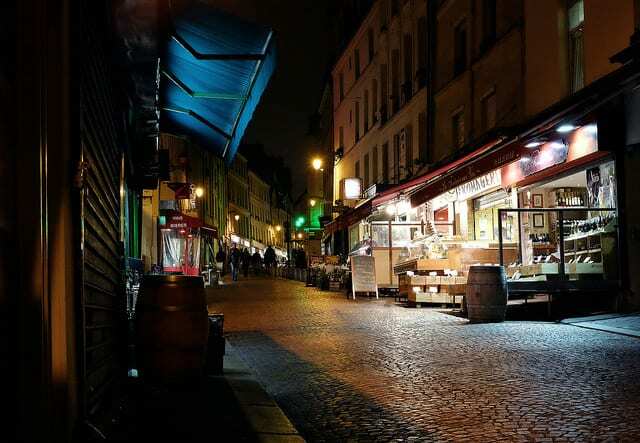 It is the place to go if you want to observe the Parisian way of life, see lots of characters and, yes do some shopping in the chic boutiques and bakeries of the capital. The food at the local markets you’ll find all over France is fresher and more beautiful than you could ever imagine. Whether you buy bread, strawberries or cheese, you will not be disappointed, and best of all, you’ll get to eat an amazing meal for very little. If you take the time to talk to the stallholders and the other shoppers, you will have a great time getting immersed in the culture of the place, too. It might be a simple experience, but it isn’t one to be skipped. Found a few things to add to your bucket list?